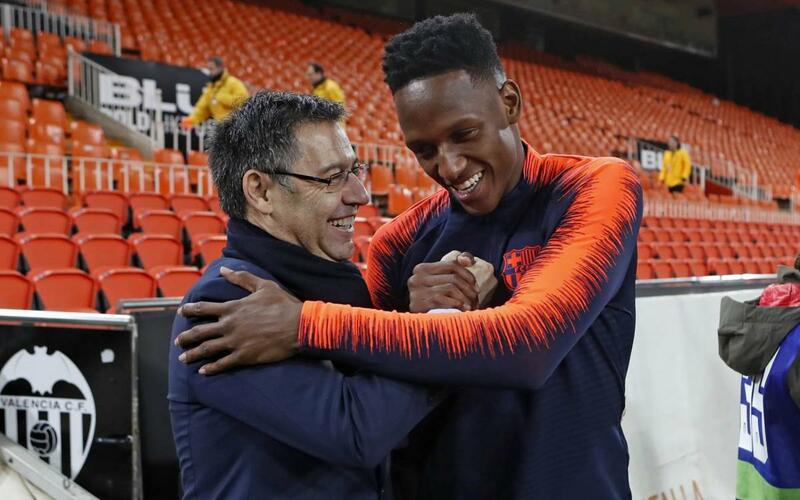 Yerry Mina got his first minutes as a FC Barcelona player in the closing moments of the Copa del Rey semifinal second leg against Valencia. The Colombian defender came on in the 83rd minute of play, replacing Gerard Piqué. After the game, which Barça won 0-2 to go through 0-3 on aggregate, Mina was congratulated by both Piqué and FC Barcelona president Josep Maria Bartomeu. In this video, we look back on an unforgettable day for the winter signing. Don't miss all the best moments on and off the pitch from Mina's Barça debut!